Even though news now travels almost at the speed of light, some things on the web still stand the test of time. One of the best strategies to build a following through your blog is to consistently write evergreen content. It won’t matter if it’s June or December–evergreen content will still be relevant. 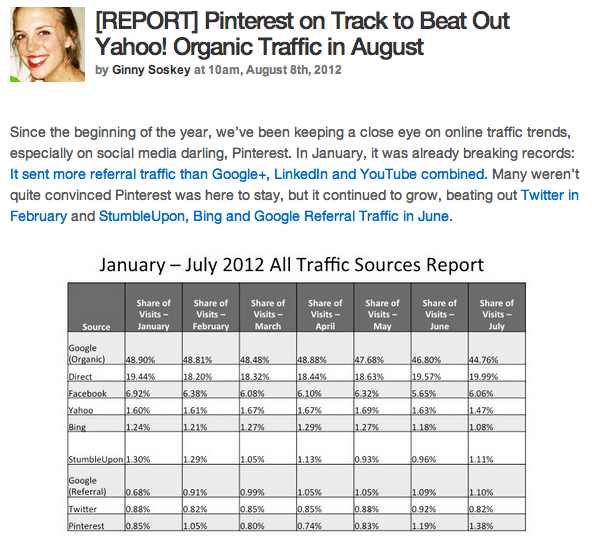 Unlike a blog post around a controversial yet fleeting topic, people will always been interested in evergreen posts. 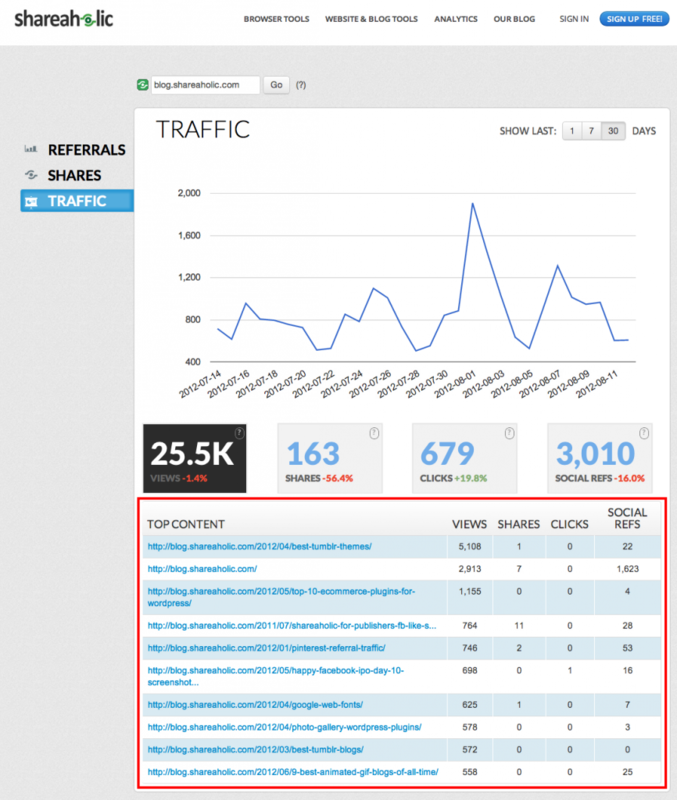 Analytics can be your best friend—they’ll tell you which content is working and which isn’t. Most metrics dashboards (including Shareaholic’s) will indicate which posts have the highest pageviews or shares on social media, two indicators that can tell you how popular a post is. If you notice that a post still has a steady viewership weeks or months after you’ve posted it, the post can be categorized as evergreen. Once you’ve identified evergreen content with your analytics, you should create a list that will be used as a reference later. 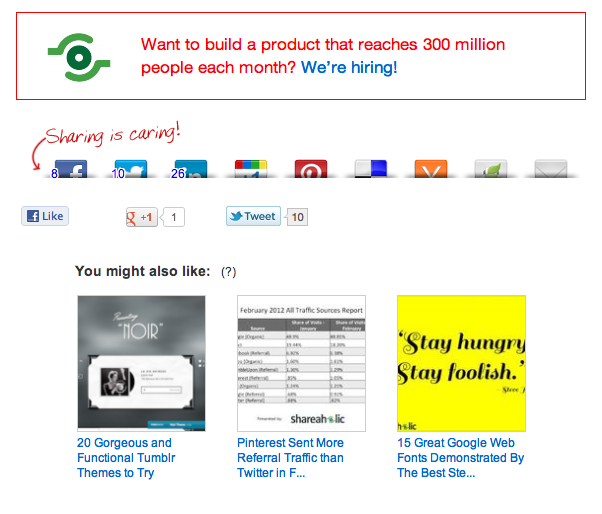 You can see how we do this at Shareaholic in the picture above—we organize evergreen content by topic, title and URL. Keeping this information in an easy-to-use spreadsheet will help you with both steps #3 and #5 in this list. While it may seem tedious to maintain, it is useful to have an organized list of your top evergreen content to use later while blogging or sharing on social media. Besides bolstering your search engine rankings, linking to internal content within your posts helps keep visitors on your site longer. People naturally are in discovery mode while on the internet, so make it easy for your visitors to discover your timeless content by linking to it directly in the text of your post. Keeping the list in step #2 will help remind you to link internally as you will have it handy at all times. You can also link to internal content without manual labor by using a related posts plugin. Shareaholic Recommendations, for example, will use your social data from your sharing buttons combined with your analytics to determine which posts are most similar. It will then display posts that your readers may like to read without you doing any of the legwork. Related posts plugins are most effective if you use the visual thumbnails with a link to the posts, as people are naturally drawn to the images and will be more likely to click. Using this type of plugin is a great way to naturally resurface your evergreen content. You can also resurface your old evergreen posts through social networks. Because of the fast-paced nature of social media, you can almost guarantee that all of your followers don’t see your posts at once. If you have evergreen content that you’ve identified in step #1 that people like to share, continue to promote that content on your social networks long after you posted it. You can either manually promote it by cycling posts from the list in step #2 or use an automated plugin to post old content for you. We usually resurface our old posts manually, as you can see in the tweet above, so that we can better optimize the timing and relevancy of the evergreen content. Want to take advantage of your top content? Download Shareaholic Recommendations to automatically resurface your posts.